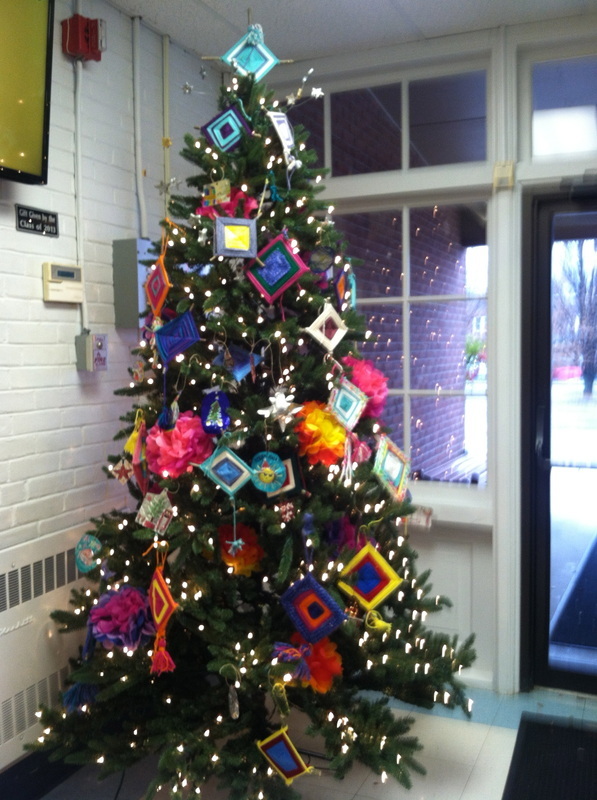 Our Spanish and art classes in the upper school started this tradition about three years ago. When the holidays roll around, we begin working on ornaments (los adornos) to decorate the tree (el árbol). 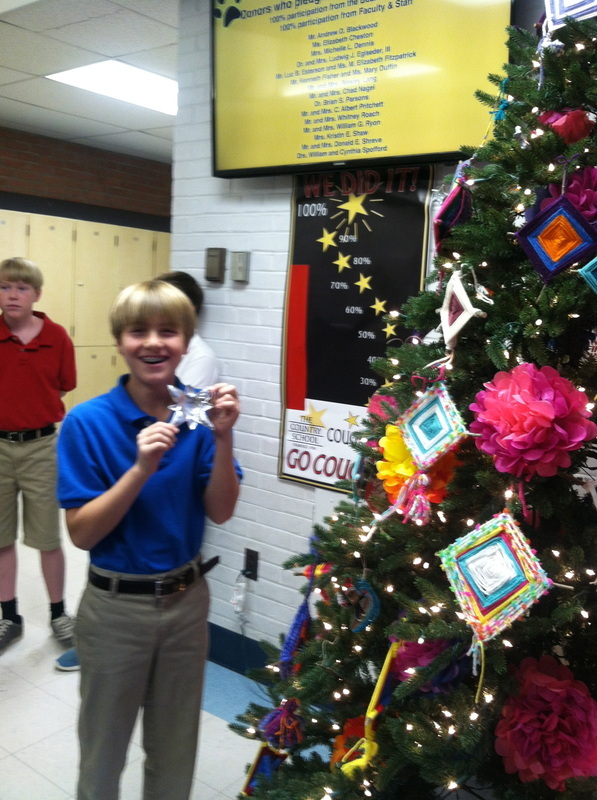 This year, 6th graders focused on their favorite animals. 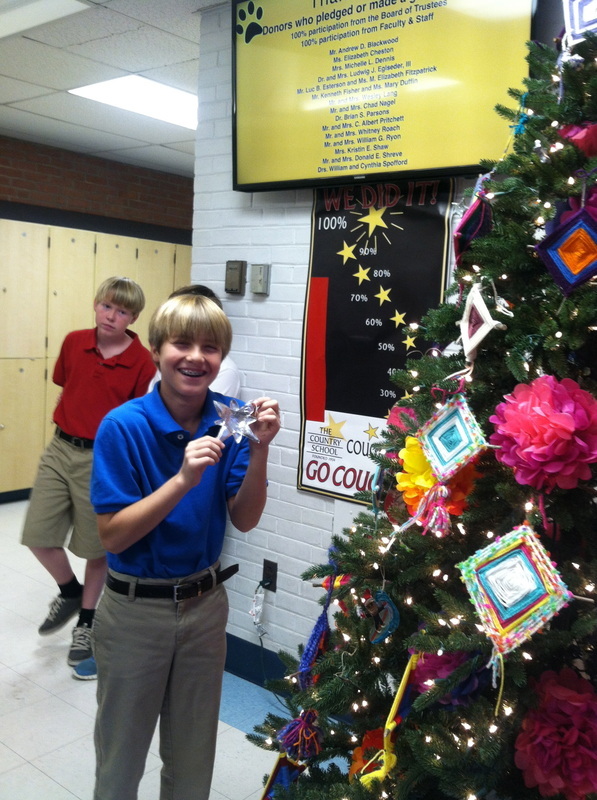 They each designed an ornament, wrote a 4 sentence paragraph description, and presented the description to the class. 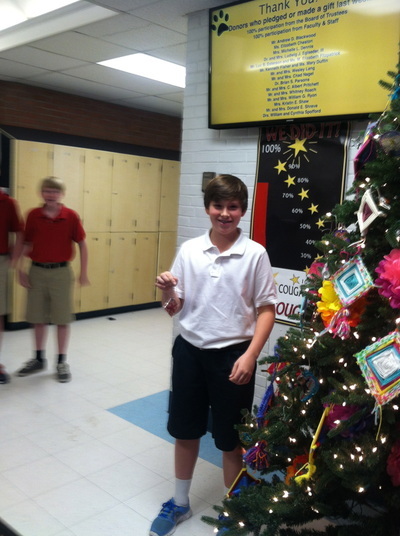 Meanwhile, 7th graders decided to adorn the tree with toys (juguetes) that they may have played with when they were younger. 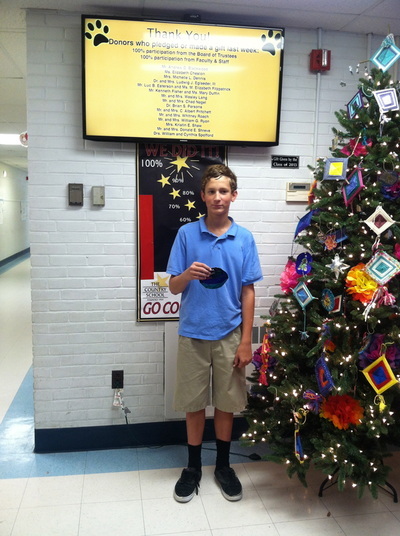 (cuando era pequeno). 8th graders researched famous Hispanic/Spanish individuals such as Queen Letizia of Spain and Roberto Clemente. 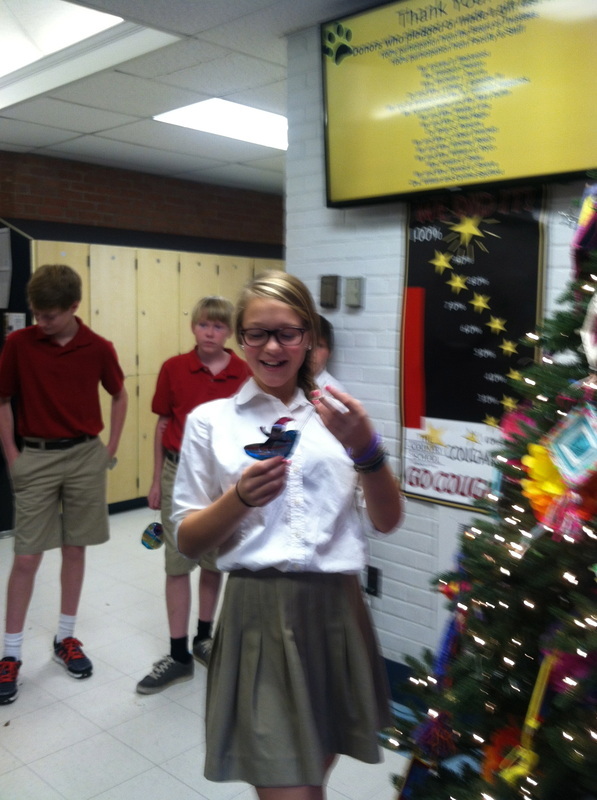 Then, they created an oral presentation (entirely in Spanish) about the person and their contributions. 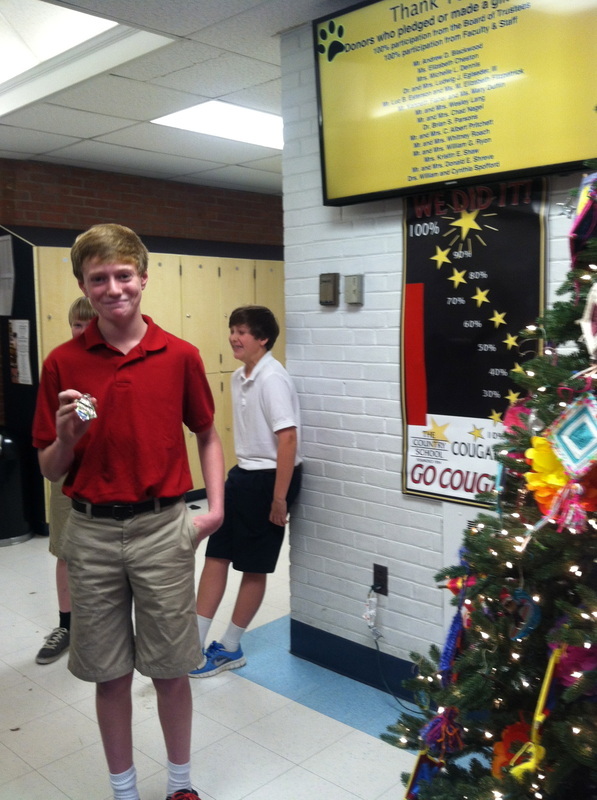 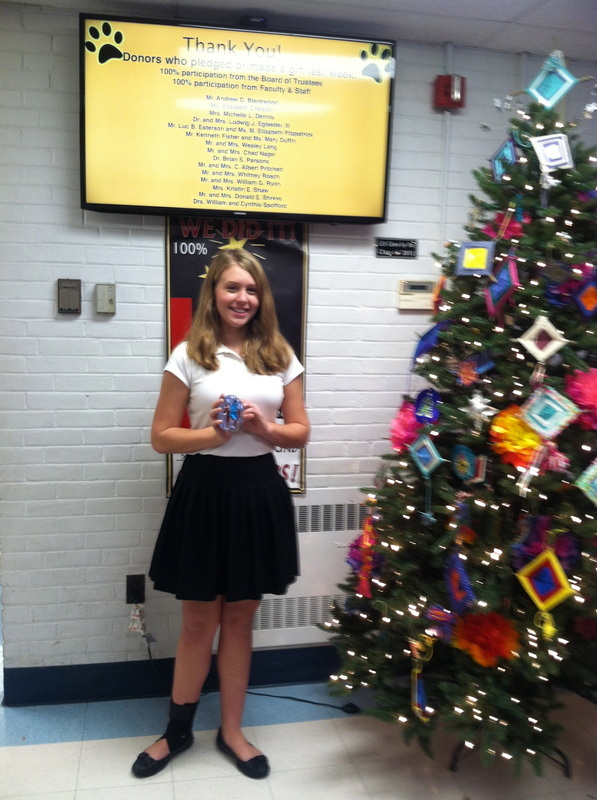 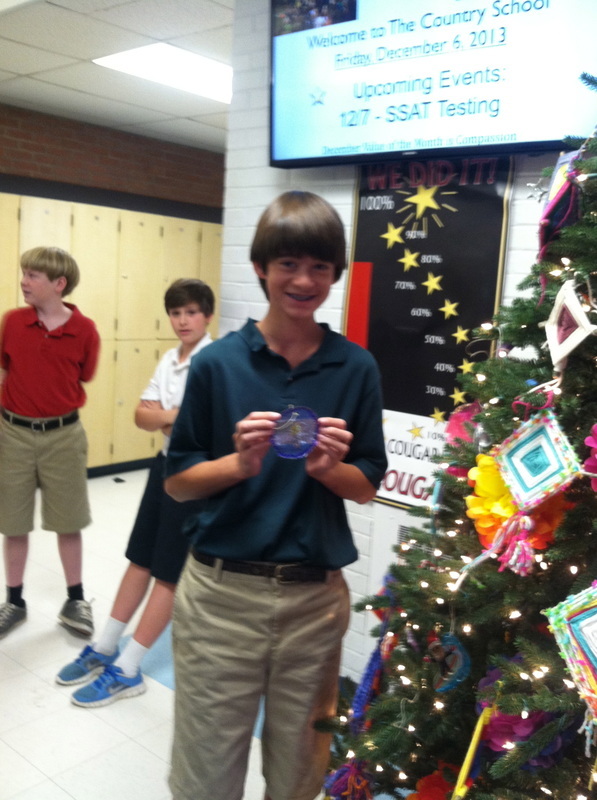 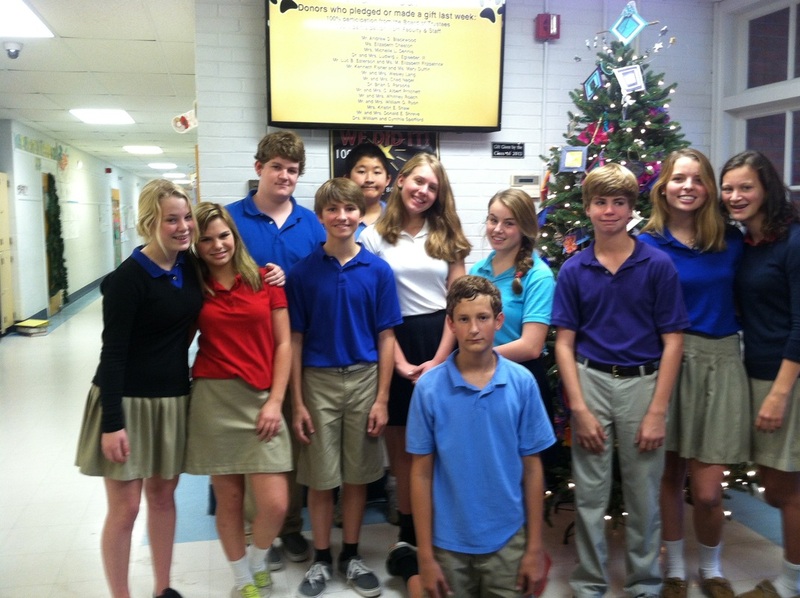 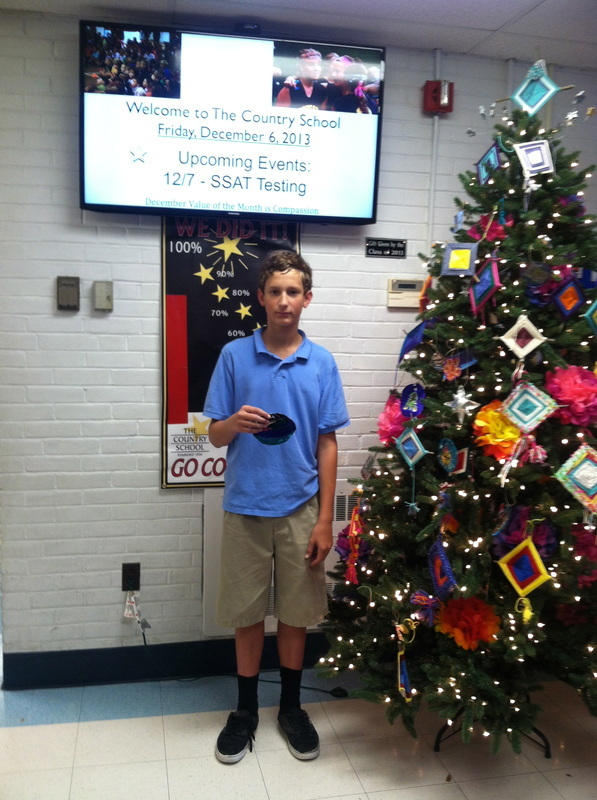 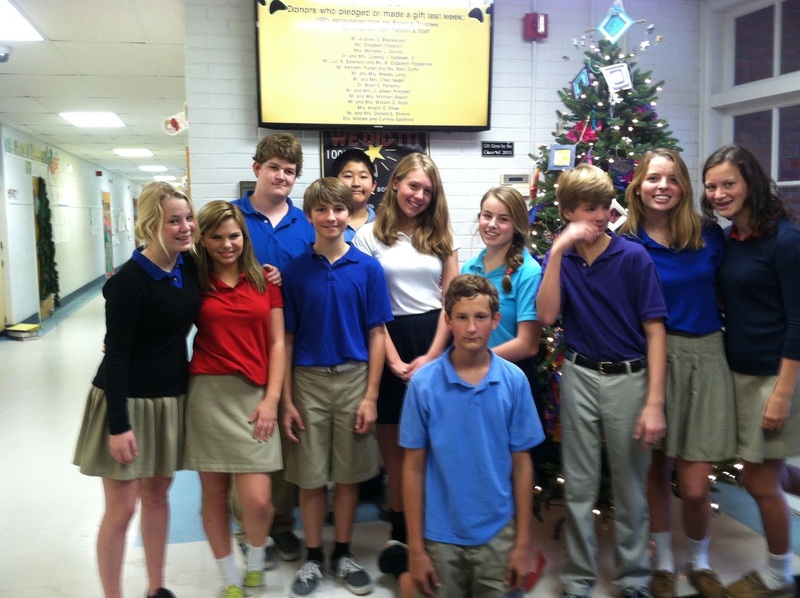 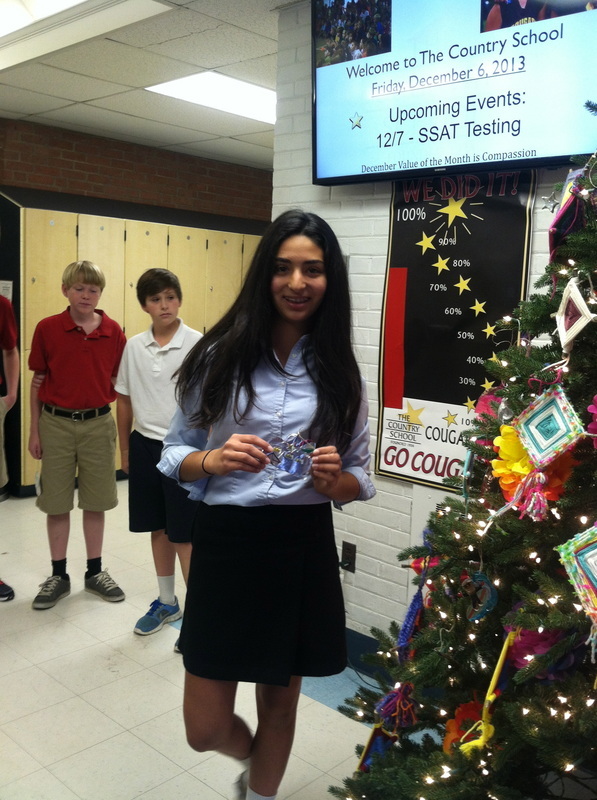 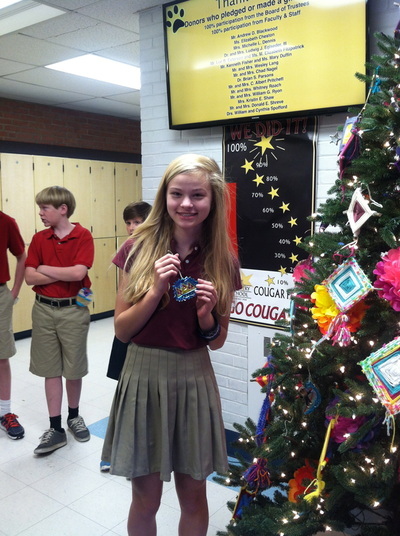 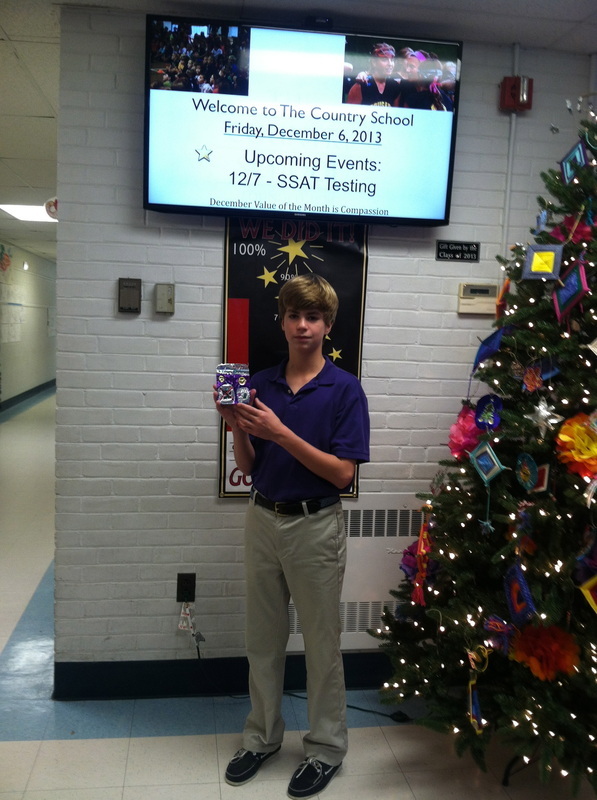 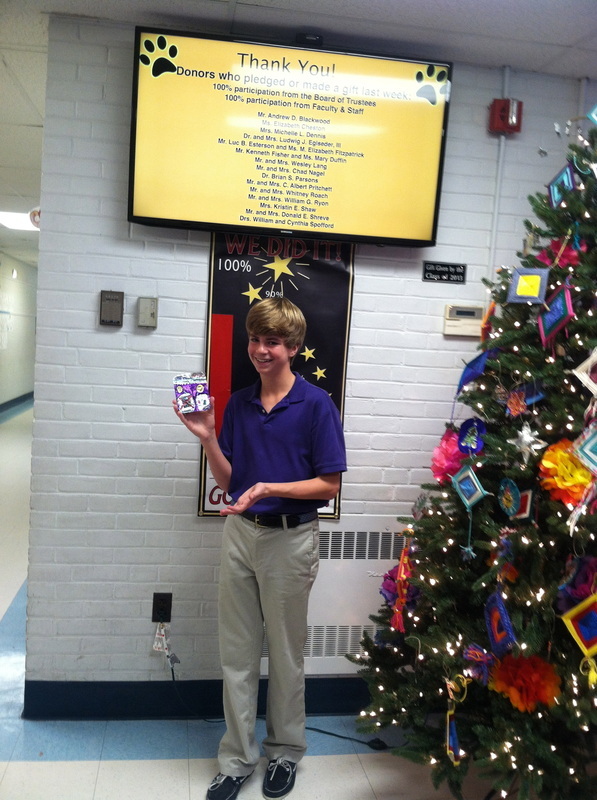 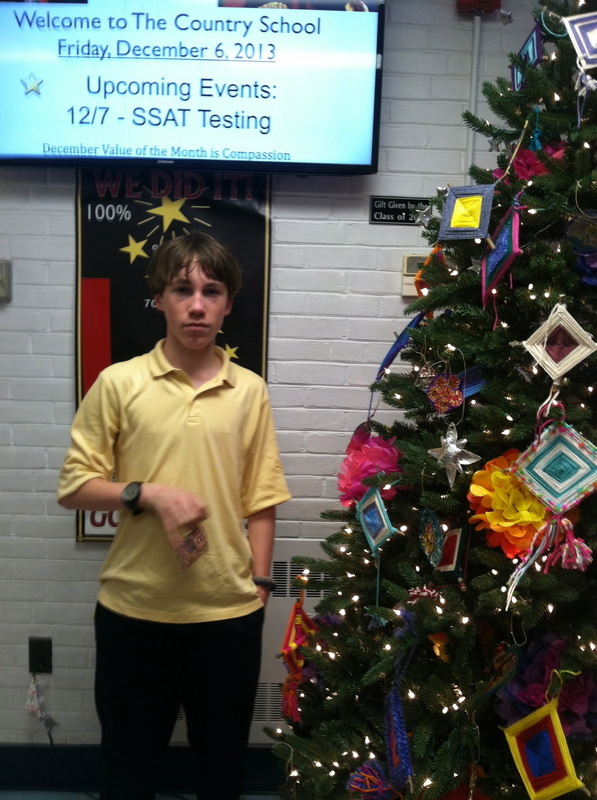 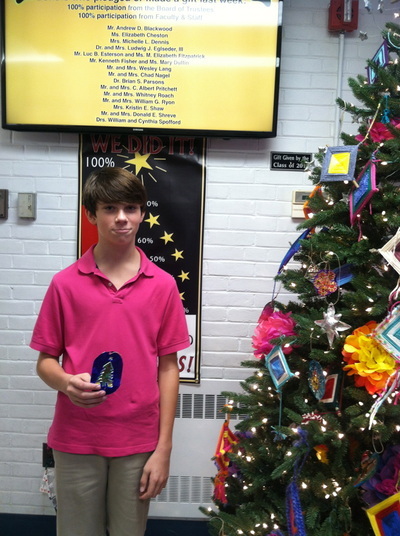 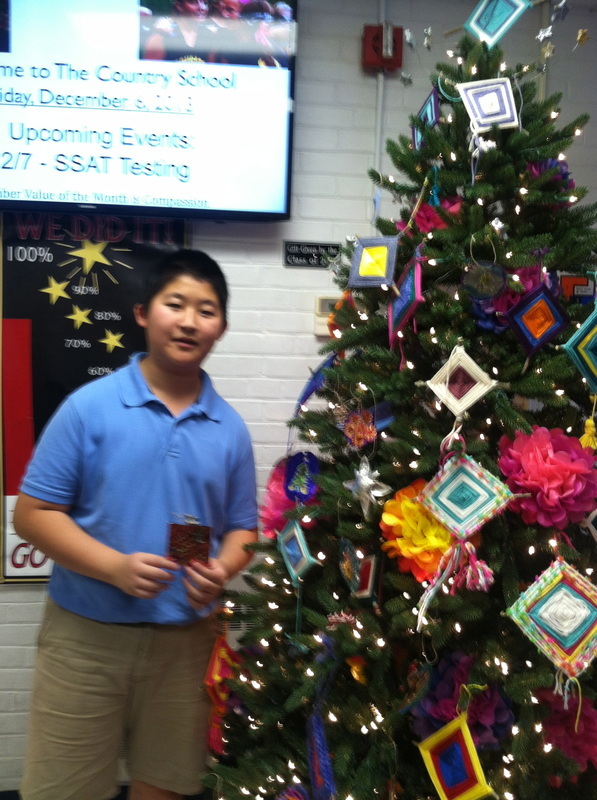 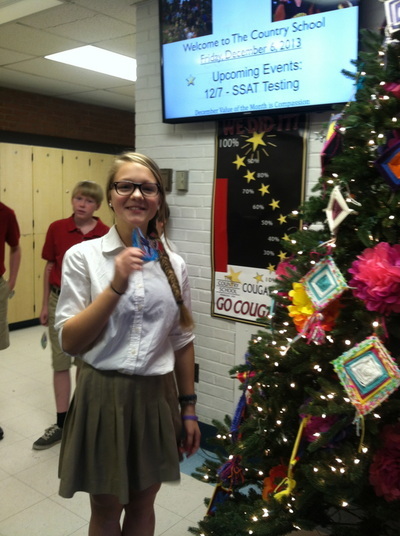 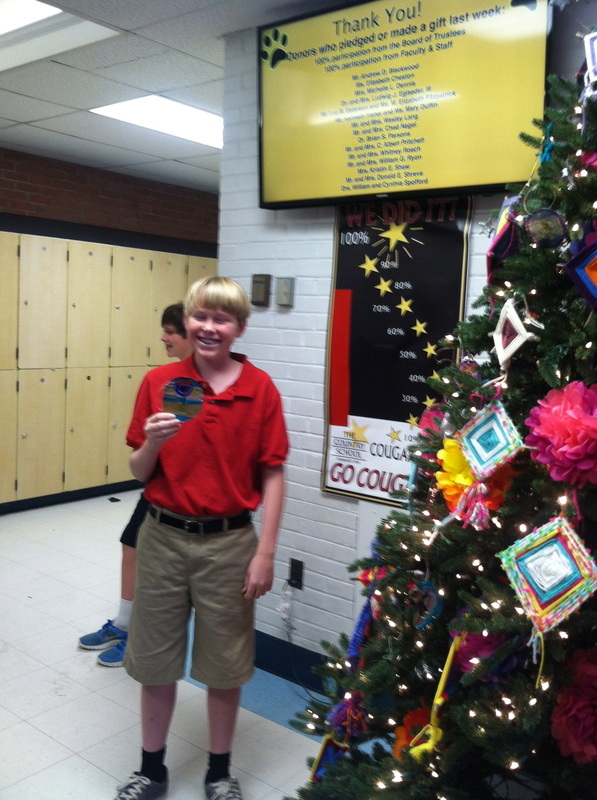 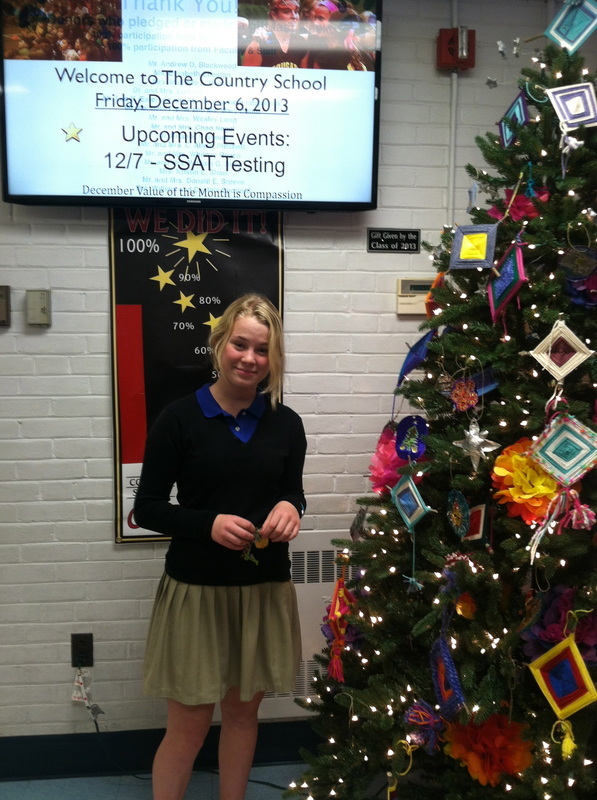 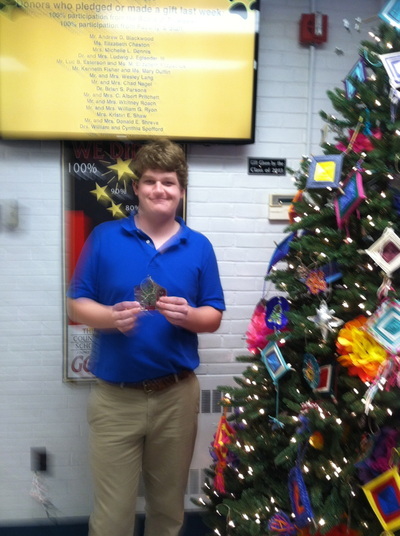 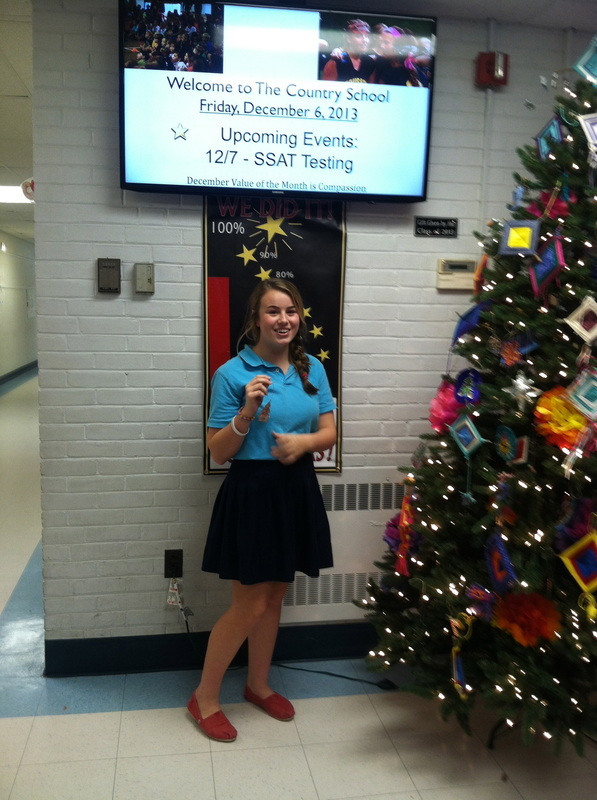 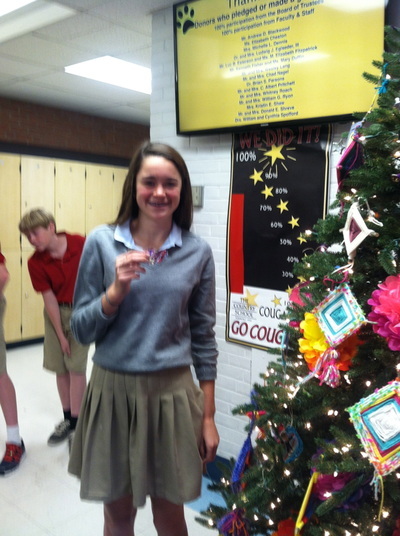 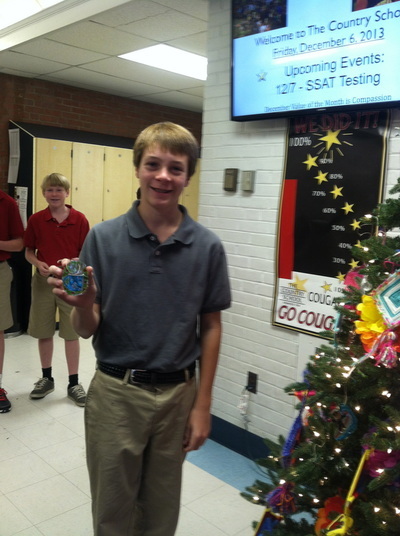 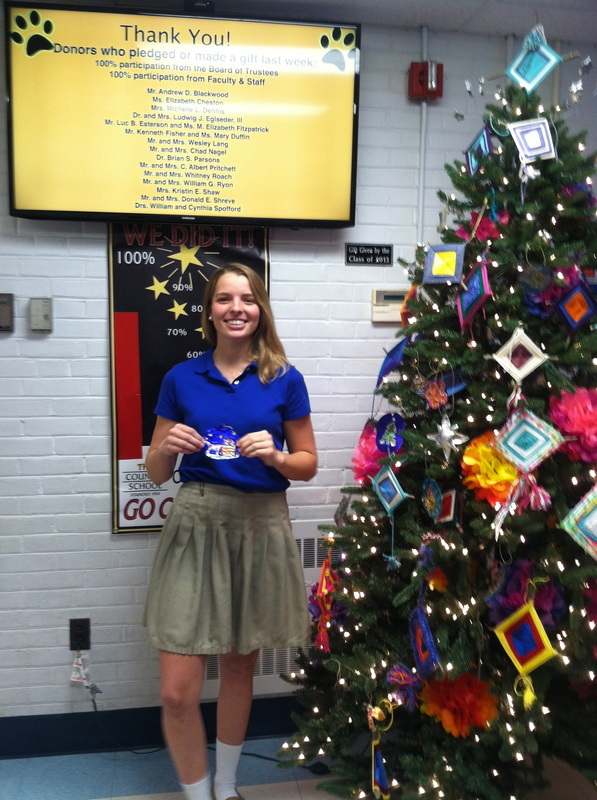 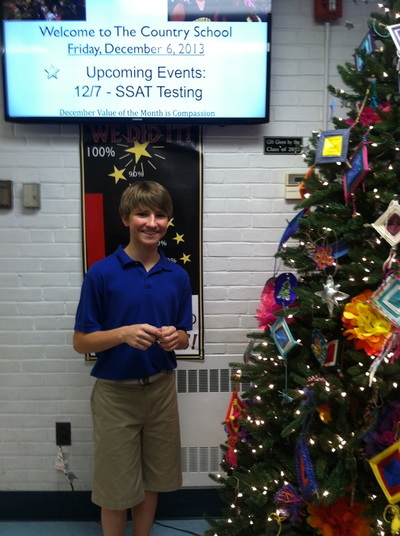 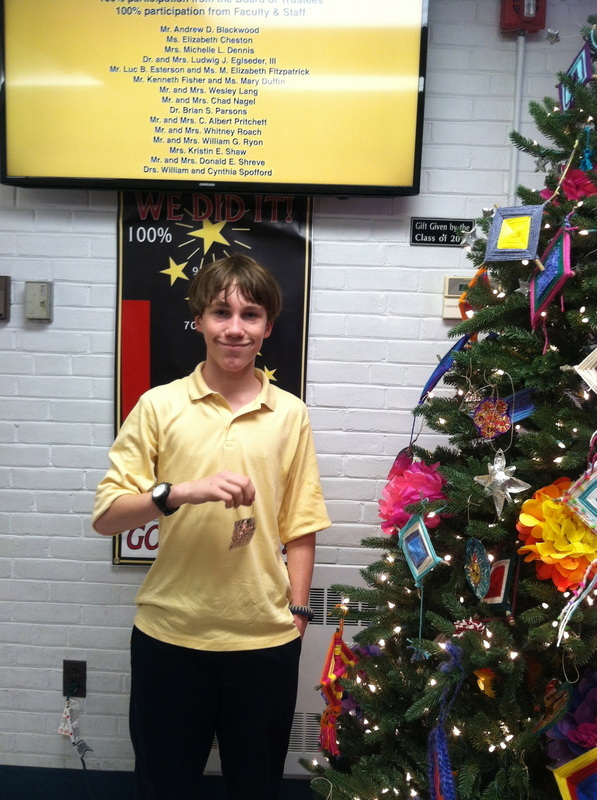 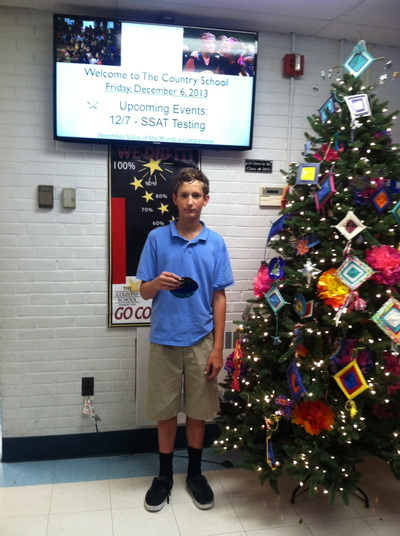 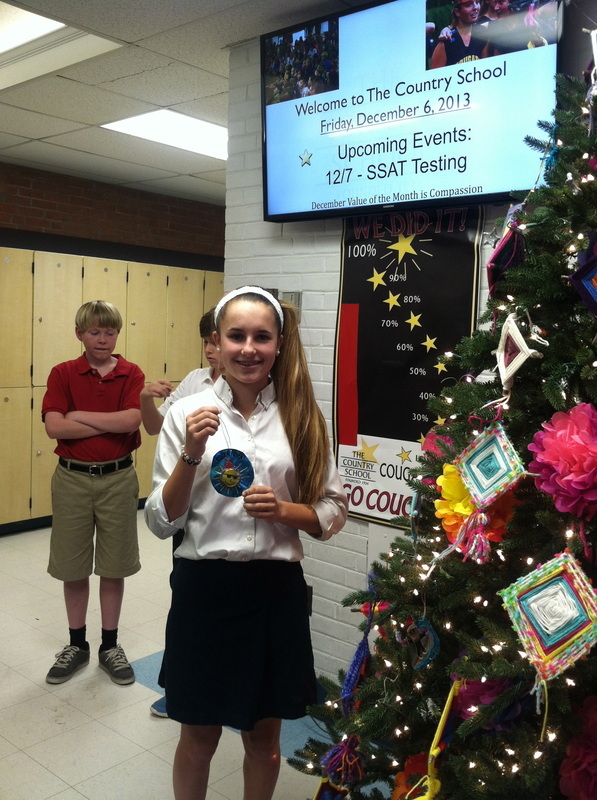 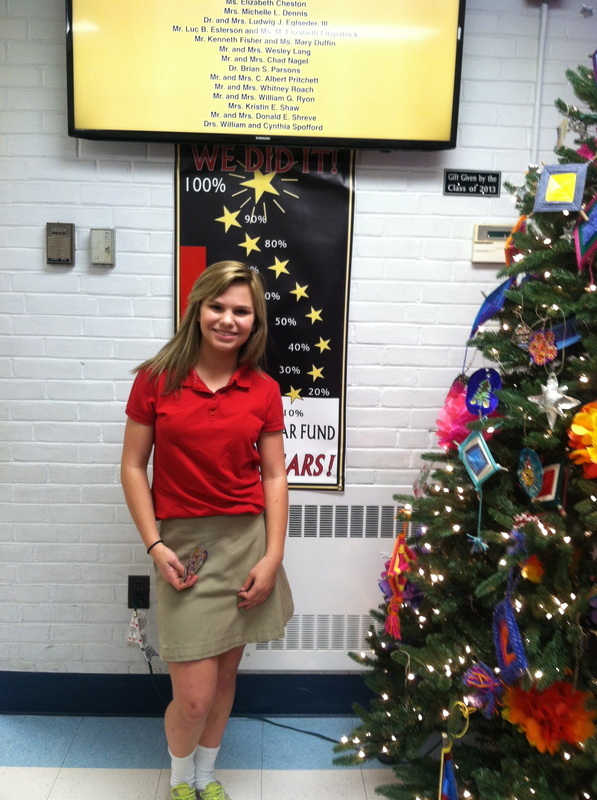 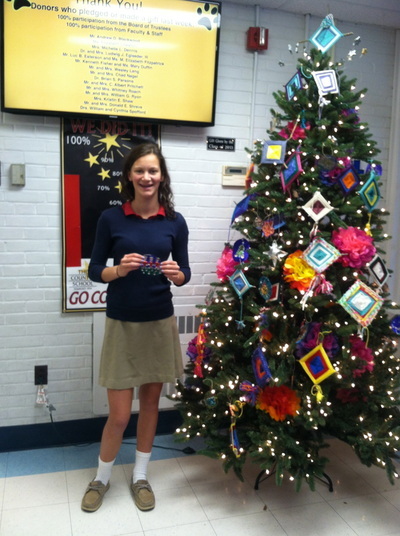 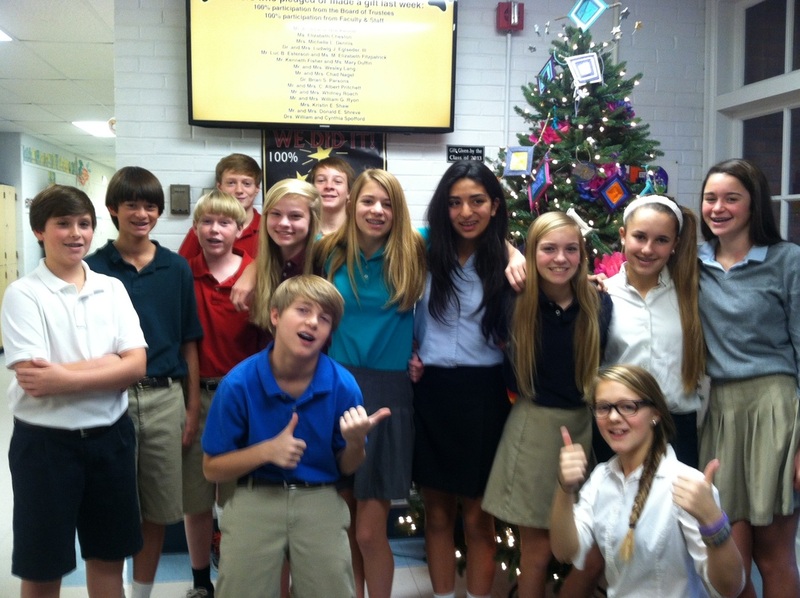 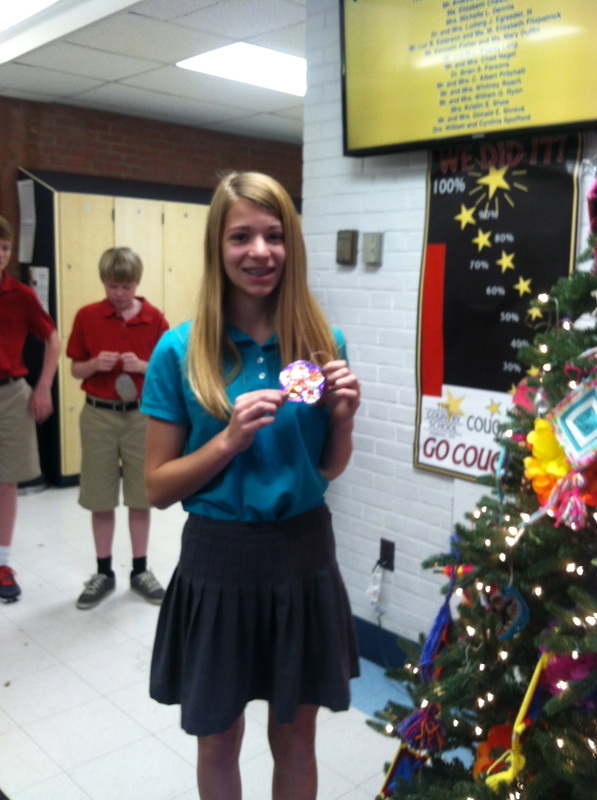 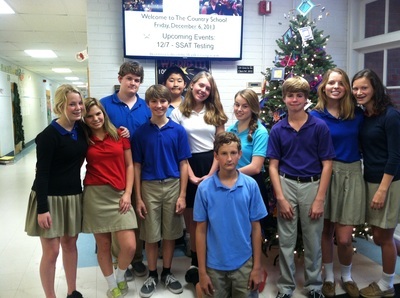 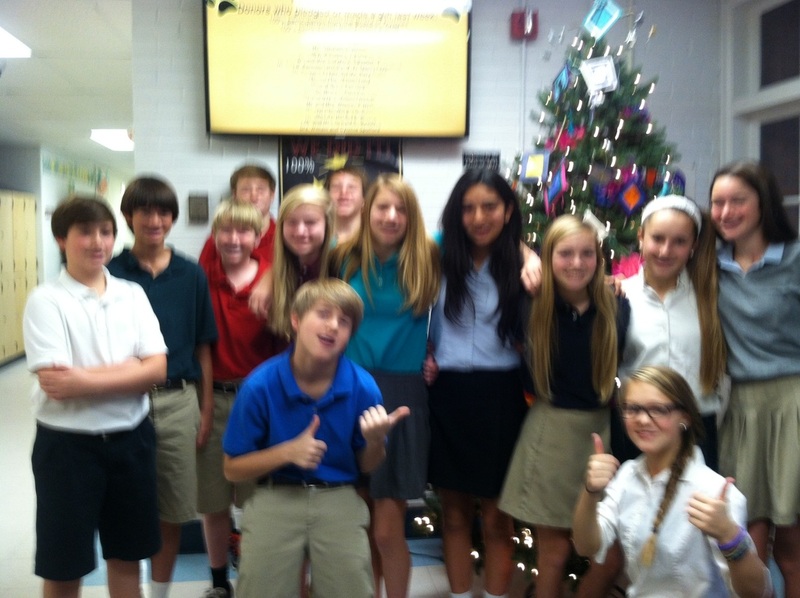 Feliz Navidad 2013 - 8th graders made tin ornaments and learned about celebraciones en Paises hispanohablantes. 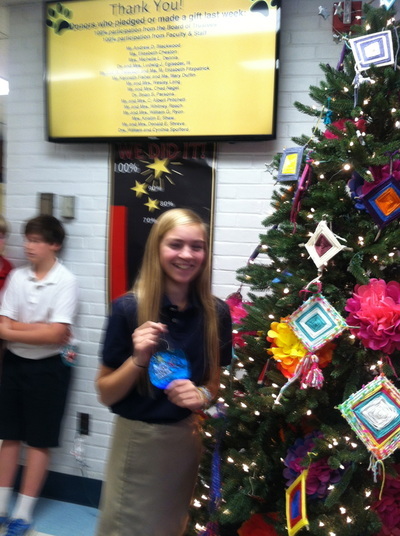 6th Graders created Ojos de dios and took time to say what they are thankful for. Enjoy the gallery and video below.